Slow growing, cushion-forming alpine. Dense, small rosettes of hairy, lime encrusted, mid-green leaves. Flat topped cymes of star-shaped yellowish white flowers in late spring. Very sharply drained alkaline or neutral soil in full sun. Avoid excessive winter wet. 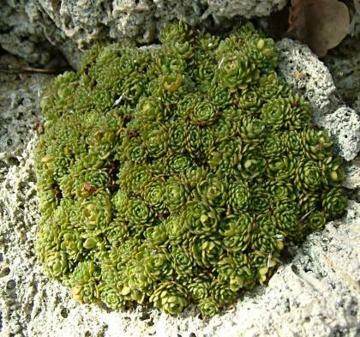 Can be successfully grown in tufa.